A distinctive yet affordable choice, the Standard home elevator features interior melamine paneling with a burnished steel frame. 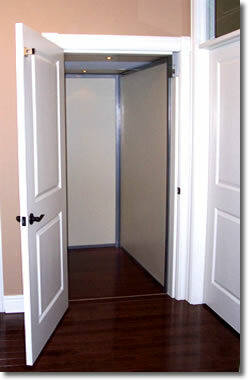 This residential elevator can be finished with a variety of materials, colours, and fixture styles. Whether it is for accessibility or a home upgrade option, the standard home elevator incorporates both function and form.